reflecting on the good I’ve done, the people I’ve helped, and how much more I’d like to do. How can I use my strengths to help someone else? Sometimes the only thing you know for sure is what you know for sure. When I work with my clients, I try to help them identify the things they know for sure. Your knowledge prepares you. 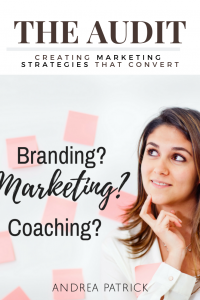 Knowledge of yourself, knowledge of your area of expertise, your knowledge of the answers to frequently asked questions… it’s what prepares you for those times in your business when you doubt your abilities. I’m not easily intimidated and I don’t often fear speaking to groups, but there have been times (especially when it’s a step up in my business) that I feel a little inferior to those I will be around. In times like these, I remind myself of MY unique perspective of the topic I cover. I know my information comes from personal experience (unique to me), research (preparation), and passion (all mine). Taking a minute to remember these things calms me and allows me to overcome the self-doubt. What have I done to prepare for this moment? How do I relate personally to the data I’m sharing? I hate it when wires get crossed and it’s hard to read the intentions of others. It happens a lot with emails and texts. It’s one reason I would much rather a phone or video chat opposed to either of the aforementioned. So much gets lost in translation when you aren’t sure of intentions, that’s why when I doubt a situation, I focus on my own intent and ask questions. Understanding my value, what I bring to the table, affords me the opportunity to determine my reactions. I realize I can only control me and my own intentions. When I have done my due diligence, I make better decisions and I’m more intentional in my dealings. Though it’s impossible to plan for EVERY scenario, it is possible to know myself well enough to manage my behavior regardless of the situation in which I find myself. What were your intentions upon arriving? How will you manage your reactions? You see, self-doubt is just a part of life. You aren’t supposed to outrun it, avoid it, or ignore it… it’s a faith builder. It’s a YOU builder. 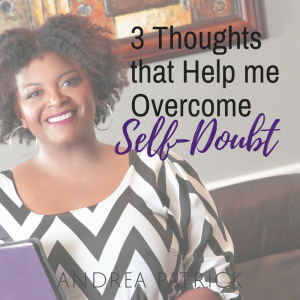 When self-doubt comes your way, remember these three thoughts and ask yourself the questions I provided in this blog. You’ll be surprised by how fast you’re self-doubt triggers the confidence and faith inside. If anything in this blog posts resonates with you, leave a comment below. I’d love to hear how you’ve overcome your own bouts with self-doubt. Your sharing will help others overcome their own. 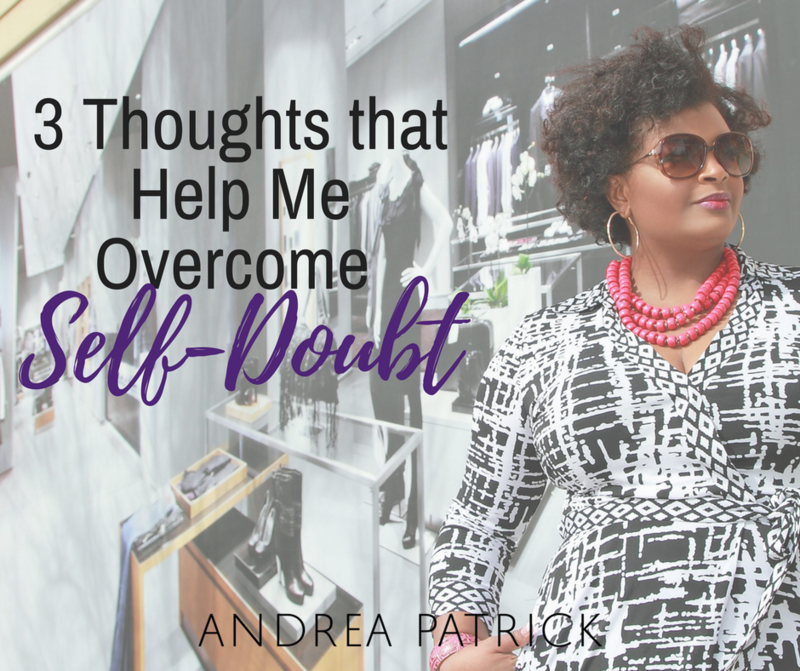 Overcoming self-doubt is a major issue for all of us. I think that being unique is a powerful simple thought that helps to resist the tempation to compare to others people and agreeing to negative people comments, which are two bigs self-doubt generators. Thinking of being prepared and intentional are two other good thoughts that will help you to overcome a painful failing past, and getting back our power here and now.